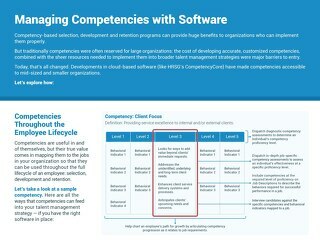 Access a complete overview of HRSG's software! 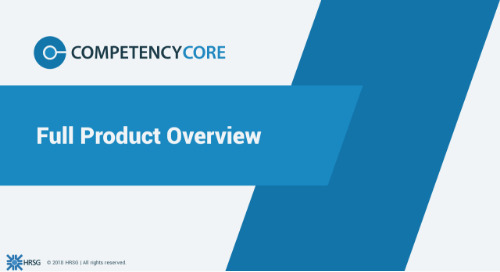 Gain an overview of HRSG's CompetencyCore Software and see the variety of modules available. Provides a complete listing of current and future software modules. 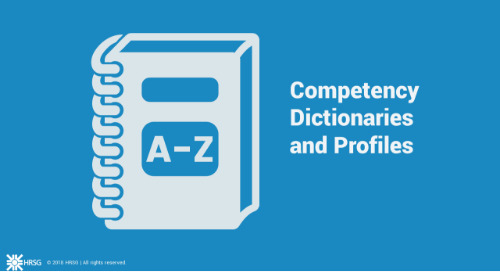 Describes how CompetencyCore supports organizational objectives. Highlights the solution to key pain points that Human Resources faces daily.